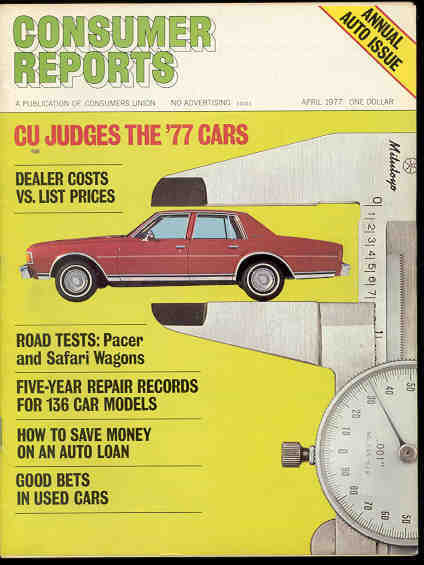 To begin this series of pages about those beautiful years, I have only time to give a short description of the small differences that came out. 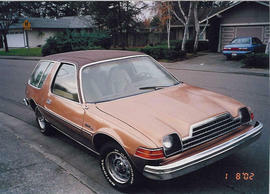 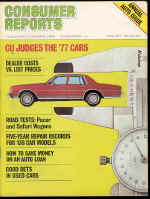 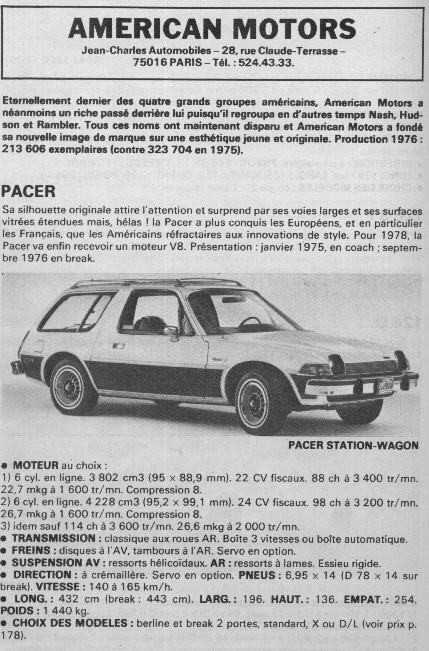 For 1977, it's a small revolution: there is now a station-wagon! 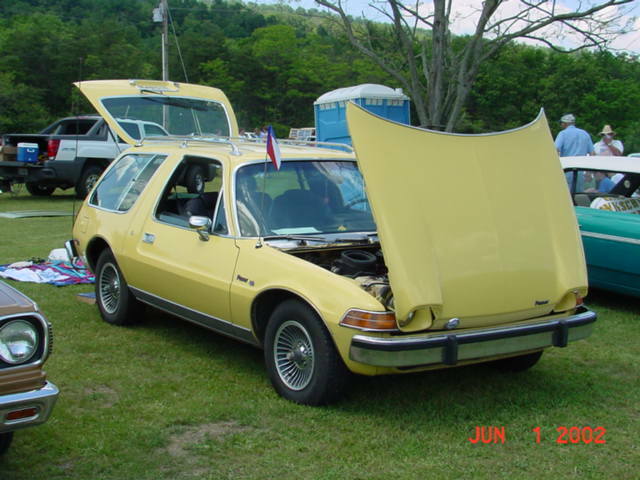 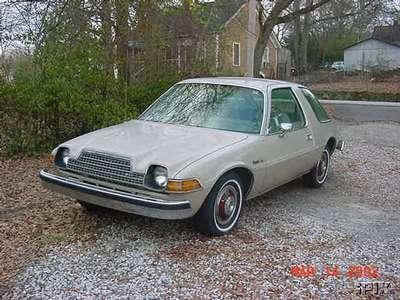 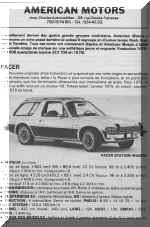 The rear of the wagon is more like a normal car and the people who didn't liked much the Pacer, now like the wagon even more!